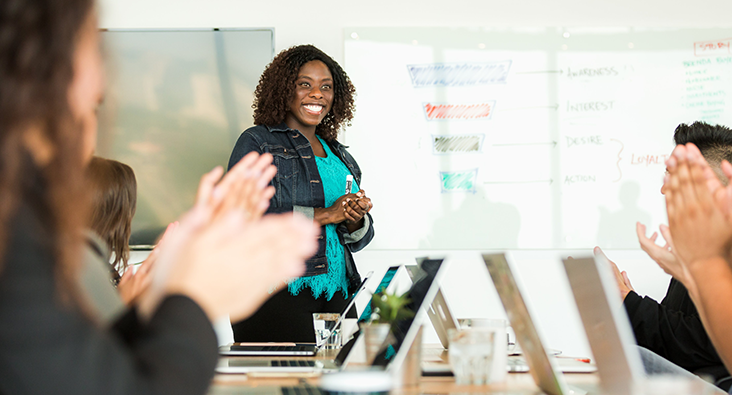 During a recent coaching session with one of my clients, we were developing a strategy to help her feel more confident before delivering presentations at short notice. Let’s say you have a job interview coming up, or you need to give a presentation at work. We often focus fully on preparing the content for what we need to deliver, and place less emphasis on how we need to feel in order to deliver at a higher standard. If you’re someone who freaks out at the thought of any of the above events, or if you regularly imagine everything going wrong, I’d recommend creating a routine for yourself to prepare yourself for what you need to do. I am a huge believer of not just ‘rocking up’ to an event. Spending as little as 10 minutes doing this beforehand can make all the difference to your performance. In this article, I’d like to share with you a few things I do to mentally prepare me for challenging events, in hope that they will inspire you to create a motivating routine that works for you. Firstly, how you start your day will impact how the rest of the day goes. I always like to ensure that I wake up early enough to start the day off in a relaxed and calm way. Before you leave the house in the morning, close your eyes and picture the event going really well with ideal outcomes. If you only imagine the worst case scenario, chances are you’ll feel a lot more nervous and your performance will be affected. Allow yourself to dream big and picture the event going really well! Before you leave the house in the morning, close your eyes and picture the event going really well with ideal outcomes. If you only imagine the worst case scenario, chances are you’ll feel a lot more nervous and your performance will be affected. Allow yourself to dream big and picture the event going really well! Before the big event, take some time out and go to a quiet space (either a meeting room or even in the bathroom). Spending a few minutes here beforehand can make all the difference to your performance. There are 3 things I love to do during this time, as they massively boost my confidence. Firstly, I love to power pose. For me, this is putting my hands on my hips and standing with my legs shoulder width apart. Studies have shown that power posing increases testosterone, causing you to feel more confident, and reduces cortisol levels, therefore reducing stress. Secondly, take some time to breathe. Numerous studies show that doing some deep breathing can greatly reduce anxiety and stress. Thirdly, give yourself a powerful pep talk.This one might sound a bit crazy, but it 100% works. Tell yourself everything you need to hear to get you into a positive state for the event. Statements I often use are “You’ve got this, you’re going to be great!” “You are so confident!” Say it like you mean it and give yourself a big smile, whilst you walk out the door on your way to impress. Now the outcome of the interview/meeting will depend on a number of factors, but by having a routine in place beforehand, you’ll feel a lot calmer and more prepared for the event itself. And by feeling more relaxed, it’s likely that you’ll perform much better under pressure. Such creative tips. Thanks for sharing Aliya!